Whether you are just starting your journey in photography, or are looking to further develop your astrophotography skills, Luke and Jay’s hands on training will help you take your image-making to the next level. Bruny Island Photography is dedicated to capturing and showcasing the Island’s unique natural beauty. Tasmania has a proud tradition of Nature Photography dating back to the 1850’s and these images have played a critical role in highlighting the richness of its natural environment and the imperative for its preservation. Our tours continue in the spirit of that tradition. While bringing you to the many beautiful places this region has to offer, we will do our best to teach you how to take better photographs, to skilfully use your camera and equipment, and help you with post-processing. We pride ourselves on providing highly qualified photography guides to help you improve your photography. We look forward to sharing our passion for the Island and showing you what an incredibly special place it is whilst honing your skills in the art of photography. You won’t be disappointed! Join Luke Tscharke and Jay Evans on an action packed astrophotography workshop based in Narooma, on the South Coast of New South Wales. You will be treated to three nights and two full days (four days total) of dedicated astrophotography coaching and tuition, both in the field during capture and back at the accommodation including post processing sessions. 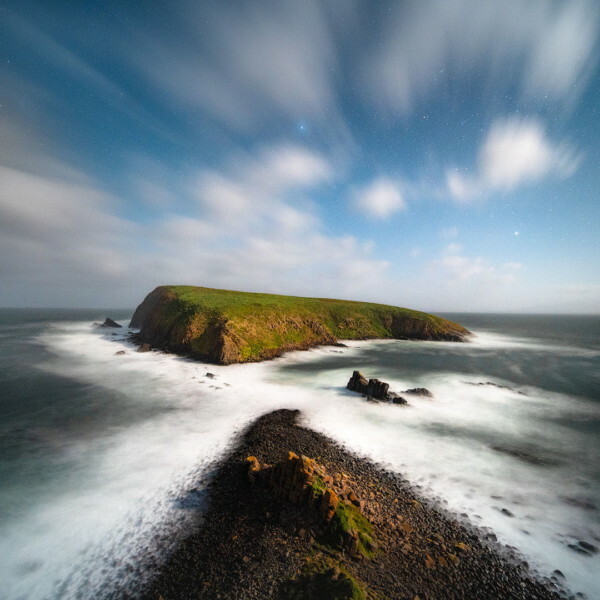 With ideal tides and timing for dark night skies this workshop will help you take your astrophotography to the next level. Whilst we can’t guarantee clear skies to capture the stars (keep your fingers crossed! ), the Narooma area offers some amazing locations for photography, where we will also photograph at sunrise and sunset. It’s pretty hard to beat a crystal clear night sky in Australia’s Red Centre, it’s awe inspiring. When you add iconic places like Uluru (Ayers Rock) and Kata Tjuta into the mix, it’s pretty clear this will be a very special and memorable workshop. You will be treated to five days and four nights (three full days total) of dedicated astrophotography coaching and tuition, both in the field during capture and back at the accommodation including post-processing sessions. With ideal timing for dark night skies and the milky way rising from behind the rock this workshop will help you take your astrophotography to the next level. With the absence of light pollution, the clear night skies in the outback really do have to be seen to be believed. Join Luke Tscharke and Jay Evans on an exciting astrophotography workshop based in Glen Davis in the Capertee Valley, 135km north-west of Sydney. You will be treated to two nights of dedicated astrophotography coaching and tuition, not only in the field during capture but also back at our accommodation for post processing sessions. This workshop is designed to help you take your astrophotography to the next level. This is an all-inclusive workshop, all accommodation and food and drink will be provided (some conditions apply). Whilst we can’t guarantee clear skies to capture the stars (keep your fingers crossed! ), the refinery ruins, rural landscape, forest and surrounding valley wall of the Capertee Valley provides some stunning compositions for your Milky Way shots. I really enjoyed the workshop and would do it again. Thanks so much for all the effort and work that went on behind the scenes to make this such a great experience! The workshop is extremely well planned and organised. Jay and Luke are both very approachable and are very generous with sharing their knowledge in the field and in the tutorial sessions. Was the perfect weekend workshop. Not only were the night astro activities well organised and a fun experience but it was a real added bonus to have day activities included – well done gentlemen. Luke and Jay provided a great venue for the shoot with good accommodation and food to keep us all going. The arrangement and timing were flexible but provided all the time we needed to do all that was planned. The shooting time and workshop training time / teaching space covered all that was needed and access to their knowledge was always just a call away. A great weekend to learn lots about Astro photography. Highly recommend. It was a brilliant few days down on the NSW South Coast. The weather couldn’t have been better for astro and seascape photography and Luke and Jay are two top blokes. You couldn’t meet two nicer or more knowledgeable guys. I felt very lucky to be able to learn from them and shoot with these two legends. The experience will stay with me forever. Thank you! It was an absolutely wonderful weekend. The type of experience that forms long lasting memories. Well worth it I would do it again next year. Wonderful hosts and instructors ! The attention to our safety was appreciated. I participated in the Capertee Valley August 2018 workshop! It was always my dream to click pictures of the Milky Way and now that I’m in Australia I really wanted to join this workshop! And it was Amazing! I had never seen so many stars in my life. Jay and Luke took care of everything and answered all the questions I had. They made sure everyone had a good time, was feeling okay and they checked if we all took some great pictures! The amount of people in the group was good and everyone was nice and helping each other. I really had an amazing time and would definitely want to join another astro workshop with Luke and Jay! Thank you guys for this wonderful service and experience, I loved it! Luke Tscharke is a very passionate professional landscape photographer based in Hobart, Tasmania. He specialises in nightscape imagery, particularly images featuring the galactic core of the milky way and Aurora Australis. 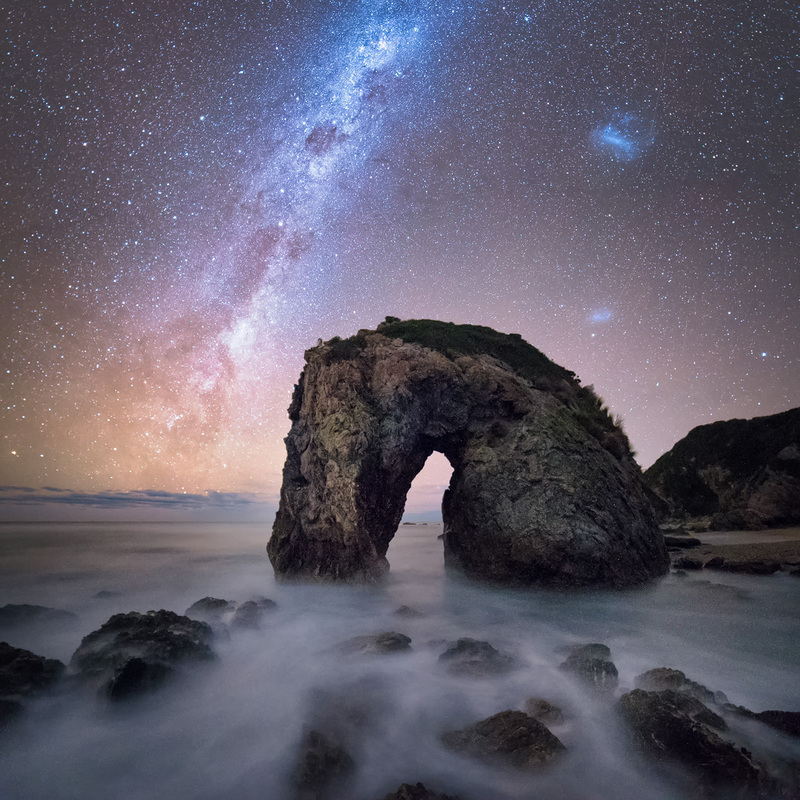 Luke has won awards and accolades for his astrophotography including being shortlisted in the 2017 Insight Astronomy Photographer of the Year competition, and winning editors choice at the 2017 David Malin Astrophotography awards. He has had several astrophotographs published in Australian Geographic, including the magazine cover of issue 126. He has also written articles for Australian Photography Magazine and Australian Geographic on photographing the Milky Way. Luke is an Accredited Professional Photographer with the Australian Institute of Professional Photography, and would love to help you learn how to capture and process better night images. Jay Evans is an avid Landscape and Nightscape Photographer based in the Blue Mountains. With a passion for Milky Way, Star Trail and Night Sky Timelapse photography, and a love of capturing the natural beauty of Landscape, seascape, sunrise, sunset, Jay is also a keen guide, educator and conservationist. 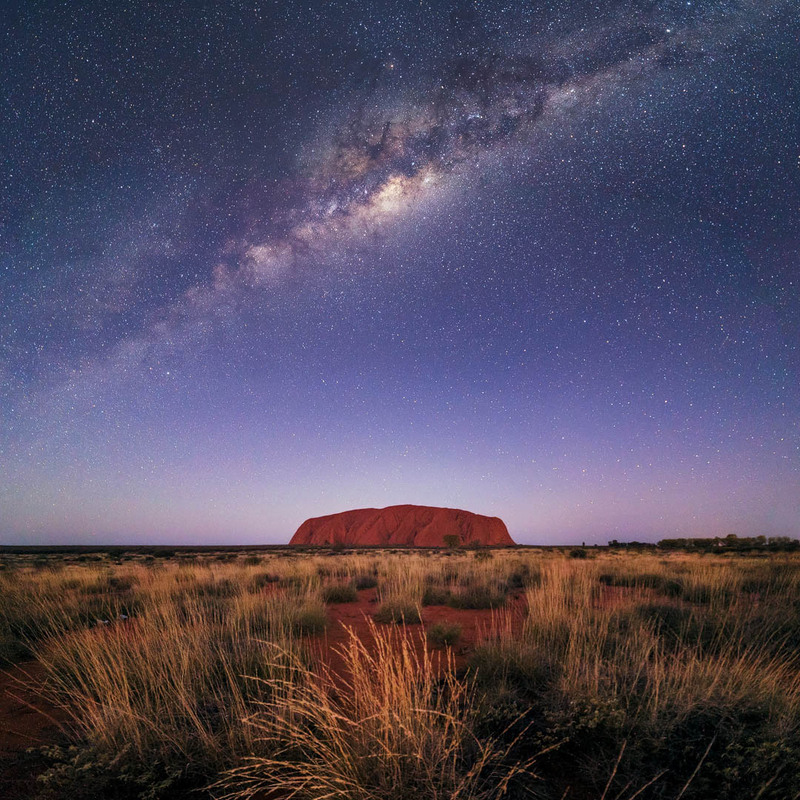 He is an accredited Uluru–Kata Tjuta National Park (UKTNP) and Watarrka (Kings Canyon) National Park tour guide and preserves special permissions for after-hours access into the park to capture the night sky over some of Australia’s most iconic landmarks. Jay also administers the Night & Astrophotography group on Facebook, organising group astro tours at easy to reach locations around Sydney, South Coast, and the Blue Mountains and is also a moderator on the ig_australia Instagram account. Would you like some more information about these workshops, or have a general enquiry? Please fill out the contact form below and Luke and Jay will get back to you shortly.